Expecting Rain • View topic - TICKETS FOR SALE - NO SCALPING! TICKETS FOR SALE - NO SCALPING! Post subject: TICKETS FOR SALE - NO SCALPING! Post your extra tickets here for other Bob Dylan fans to purchase. Please do not start separate threads to sell your tickets. They will be removed. Please note as much information about the ticket(s) details as possible. Tickets may only be sold on Expecting Rain if they are offered to our users at Face Value (but may include the fee you paid a ticket broker and postage, if applicable). Any offerings that we determine are ripping off our members will be removed without notice...... NO SCALPING. YOU MUST INCLUDE THE PRICE OF THE TICKET IN YOUR POST. FAILURE TO DO SO WILL RESULT IN THE POST BEING DELETED WITHOUT NOTICE. If/when you finalize your sale, please advise one of the moderators so we can remove your post. Post subject: Re: TICKETS FOR SALE - NO SCALPING! Going forward all tickets for sale will be deleted that do not have the face value price listed. No price = no post. They're e-tickets and will be sent via e-mail soon after receiving the payment. I'll sell them exclusively on here for a couple of weeks before putting them on sale elsewhere. They are single seats. Will sell one or both together. 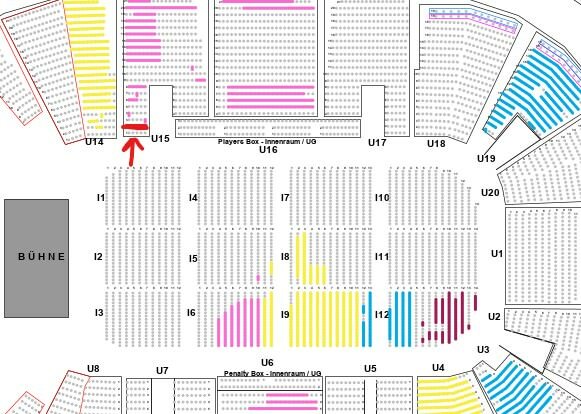 163.50€ for 1 ticket or 327.00€ for both. They are E-tickets so I can transfer them through Email after receiving Paypal. NO SCALPING, You pay only what I have paid! Last edited by don_hermano on Thu April 18th, 2019, 17:57 GMT, edited 1 time in total.